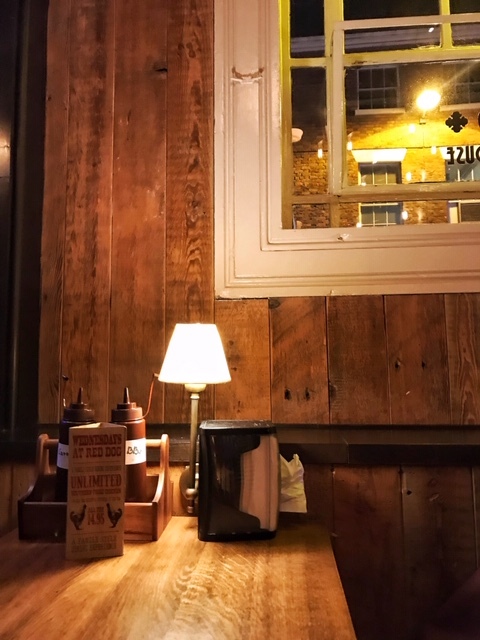 You may well have heard of Red Dog Saloon, they've been open on Bold Street for a while now but I'm ashamed to say my first visit was just last week. I'm not really sure why, but I suppose in the flurry of new restaurants opening this year this one just slipped through the net. After all, I am just one tiny person and there's only so much eating my waistline (and my bank balance) will allow. With Liverpool now crammed full of new and exciting food-stuffs, American food sadly falls towards the lower end of my list. 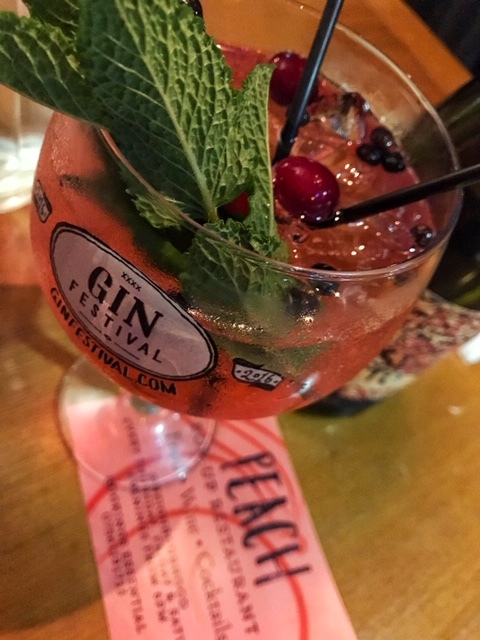 You may recall from my previous post that there's been a few exciting things going on round my ways recently and one of them is the arrival of Woolton Peach. When we moved out of our flat in the city centre 18 months ago, my number one concern was that I'd be completely out of the loop with all of the fun-food things going on in town. 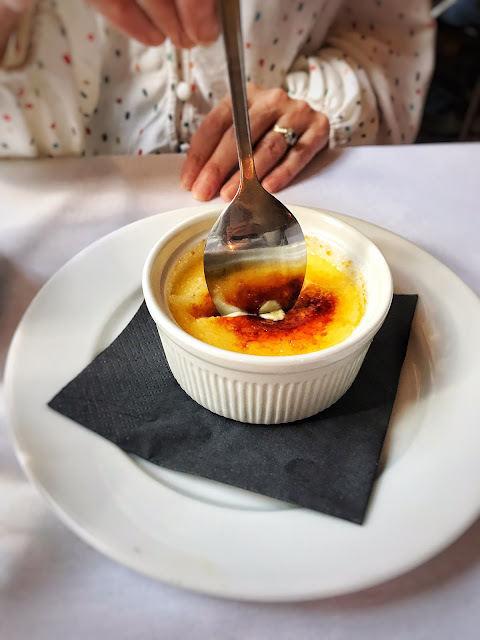 Thankfully, despite my fears, there's actually loads going on outside of the L1 boundary at the moment and there's been not one but two incredible restaurant pop-ups right here in the suburbs over the past few weeks. 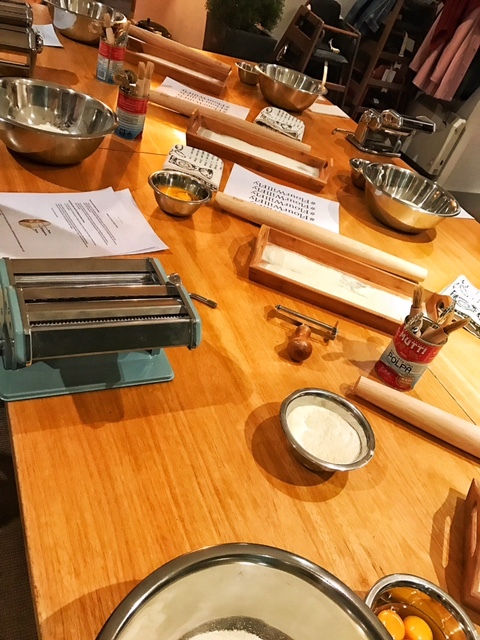 The first of which was the inaugural event by Pig & Fig. Now that the 1st of December has dawned, advent calendars have been cracked open and somewhere out there our beloved Bublé is shaking the dust of his tux, I think it's safe to declare that the festive season has well and truly begun. 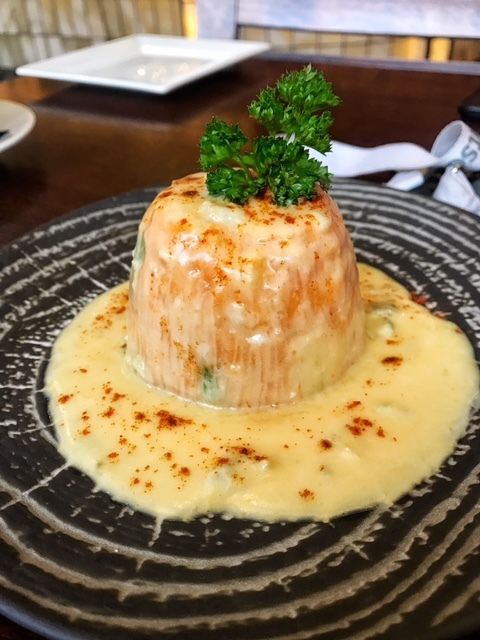 I'm glad to report that restaurants across the city are embracing the spirit of all things Christmas and have been announcing edible Christmas specials by the minute. Father Christmas better be putting me on the nice list because I've spent hours trawling the web and kindly found you all the best ones. 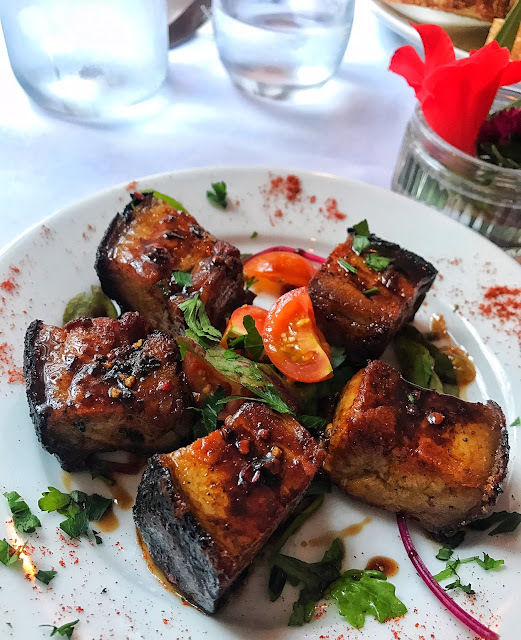 You'd be forgiven if you said you'd never been to Rumi by Bukhara. In fact, I'd forgive you even if you said you'd walked past but never been in, because on the outside this place is very unassuming. 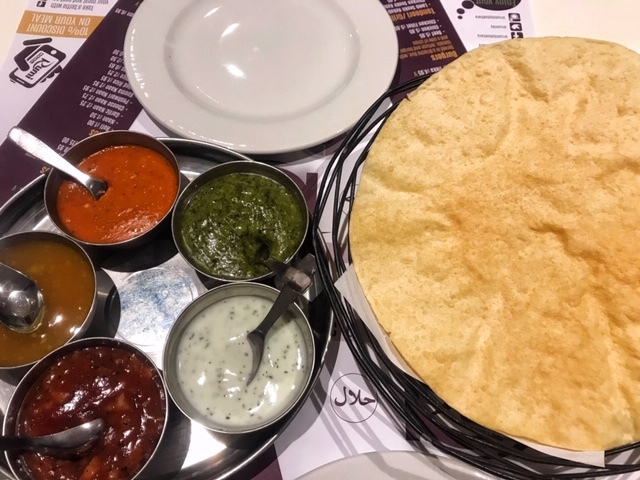 Like I mentioned the last time I went to Bukhara, this place looks a lot more like a cafe-come-takeaway than it does your typical Indian restaurant. Roll up, roll up! There's a circus in town and this one is strictly for the grown-ups. 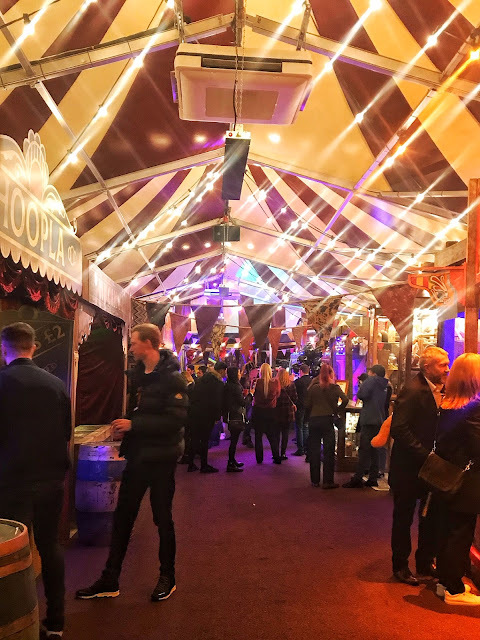 I am, of course, talking about Albus Wolfgang's Spectaculum based inside the big top tent that has sprung up inside the Cain's Brewery village. If you're currently in the depths of Christmas shopping despair and are looking for extra special stocking fillers pretty enough to put a smile on anybody’s face then let me point you in the direction of Whittard. I'm well aware that I won't be the first to tell you about Rudy's. 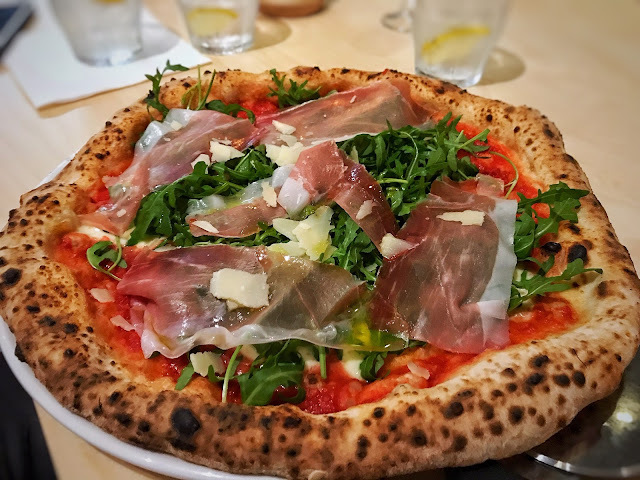 Castle Street's newest pizzeria has been the name on everybody's lips for the past few weeks and this weekend they've finally opened their doors to a flood of Instagram pictures, a multitude of excited tweets and a resounding 'YES!' from all of us lucky beggars that managed to get down there on opening night. So why the excitement? 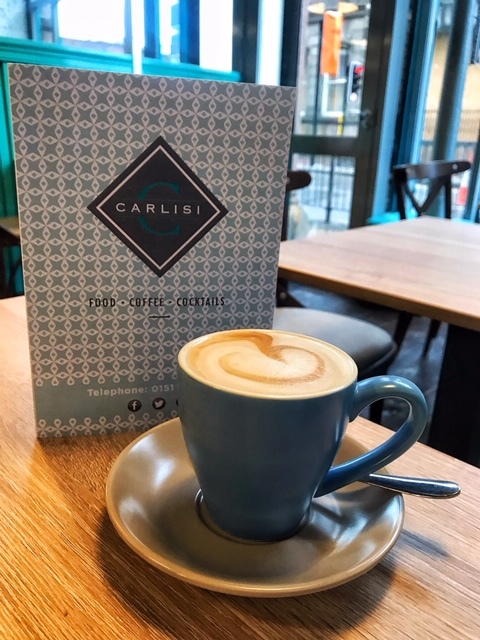 Rudy's already have two really popular Manchester branches and now they've taken the plunge and set up shop in Liverpool in the huge, (now empty) building where CAU used to be- and it's good. Really, really good. When I find somewhere I like to eat I can be really annoying about it. 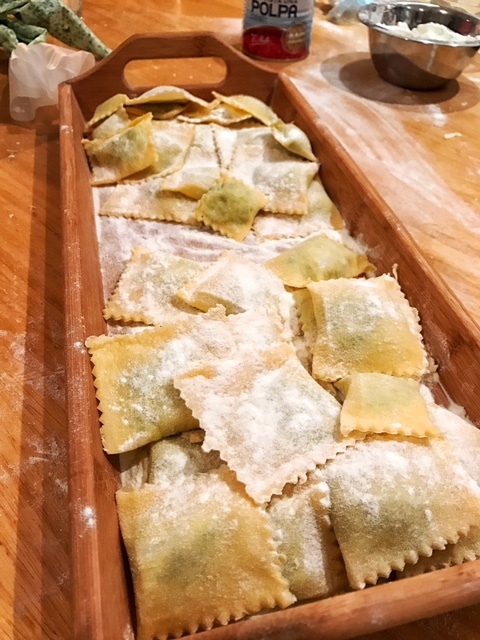 Any of you that have had to suffer through me harping on about how much I love Salt House Bacaro will know exactly what I'm talking about here. Well, in the interests of giving you all fair and advanced warning, I thought I'd let you know that I've found a new Italian favourite. In fact I liked to so much it had me browsing Skyscanner for flights to Tuscany as soon as I got home. I love a good pub tea as much as the next person, but having been born and bred in the South of the city, my knowledge of pubs across the water is admittedly limited. I've had a good roast in The Red Fox in Thornton, and I've stopped for a drink in the beer gardens of Wirral faves like The Viking and The Jug and Bottle but aside from that? Couldn't tell you. 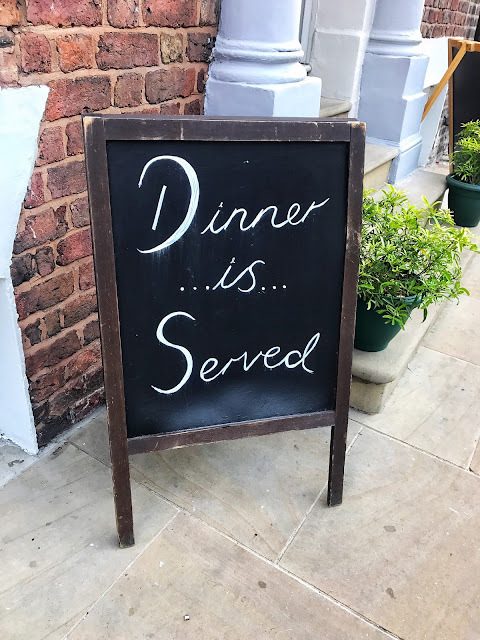 Well I'm feeling particularly smug right now since not only did I attend the re-launch of The Devon Doorway in Heswall this week, it turned out to be completely fab and now I have the perfect place to recommend to weekend walkers looking for a proper pub dinner. Liverpool One fave Las Iguanas is celebrating their 10 year Liverpool-anniversary this month with a bit of a make-over. 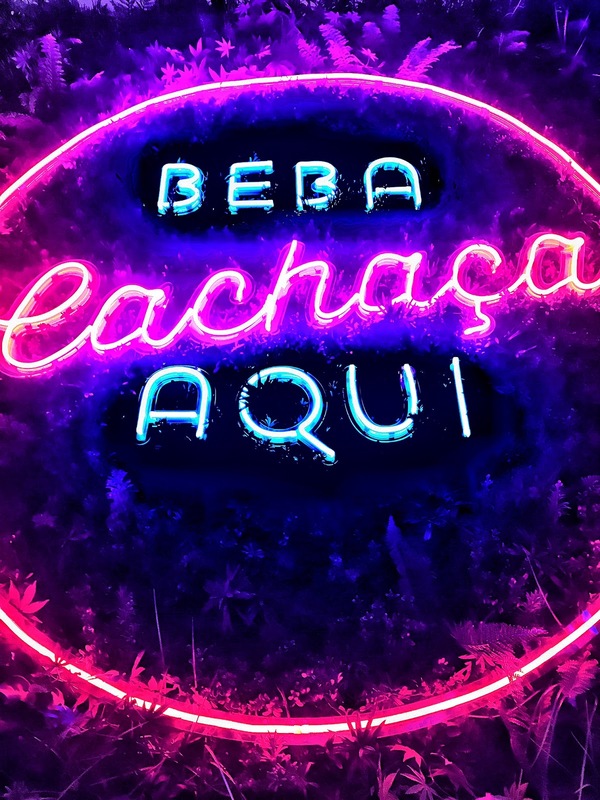 There's a new bar area, an extended outdoor piazza and a whole lotta neon, too. 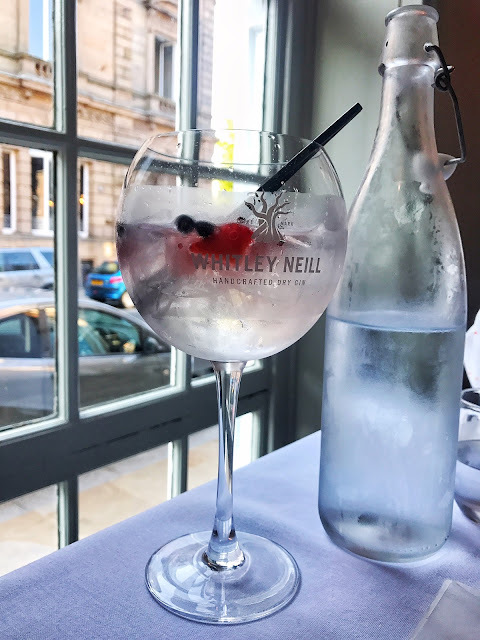 I am fully aware that it's mid-October but time flies at this time of year and before you know it the season for last-minute shopping, all-day drinking and eating triple your daily calorie allowance will be upon us. There are very few occasions where you'll see me out of bed at 10am on a Saturday morning. 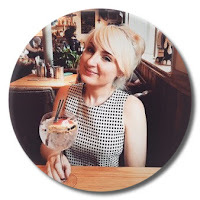 There are even fewer occasions where you'll see me out of bed, showered, dressed and in the city centre by that time- in fact, yesterday was probably the first time it's ever happened. 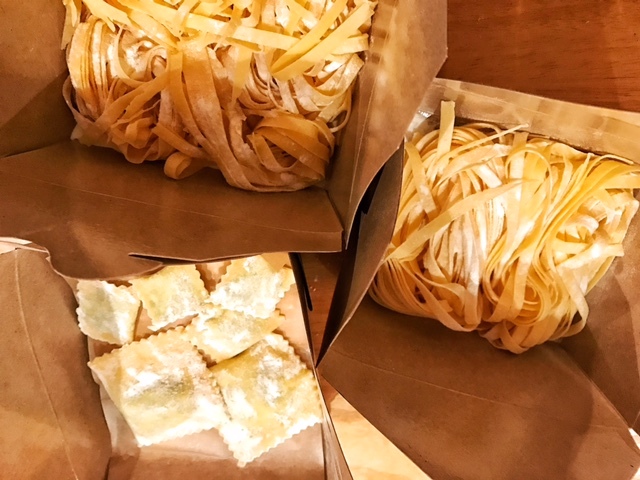 The reason for such a momentous occasion was unsurprisingly food based- though this time it was all about me making it rather than eating it (I mean, I did get to eat it eventually but that was much later) and it's all because I'd been invited to try out Liverpool's newest pasta class Flour will Fly. 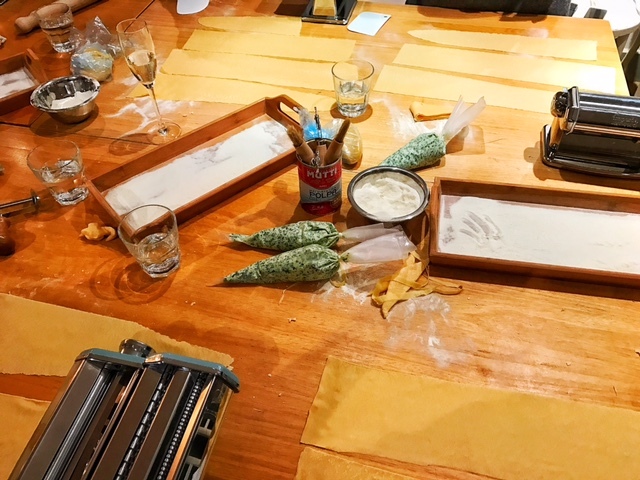 The class runs weekly inside Olive on Castle Street and with a group size of around 8-10 it's a relaxed and intimate way to learn how to make fresh pasta with the lovely Paola (and her extended Italian fam) helping you along the way. 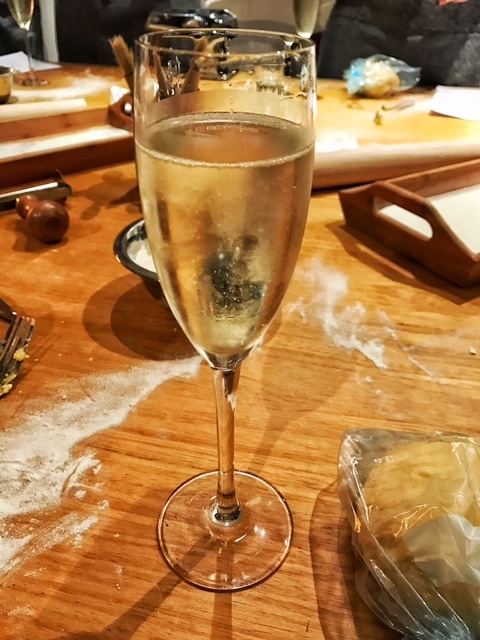 & of course there's bubbles! 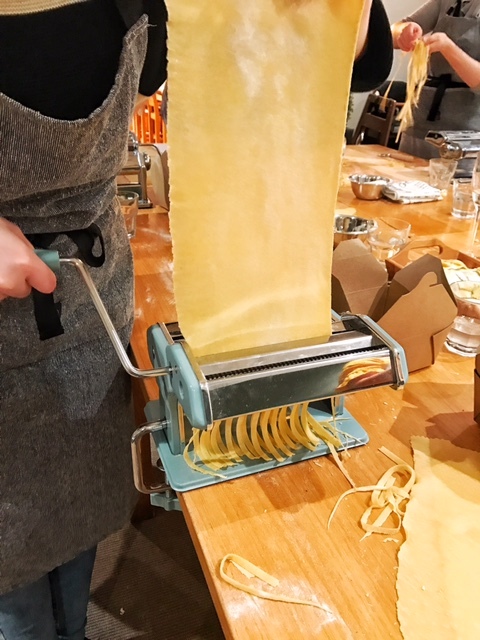 We learned to mix, knead, fill and shape the pasta and even got to grips with the pasta machine, managing to produce some respectable looking spinach and ricotta ravoli as well as a few bundles of fresh tagliatelle. 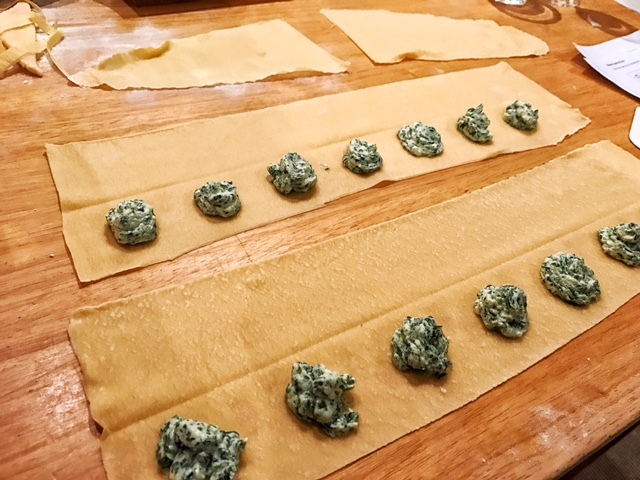 We followed Paola's instructions to cook the pasta that night and made the most unbelievable dinner, sauteing our ravioli in huge puddles of butter and sage and making a meaty (and boozy?) 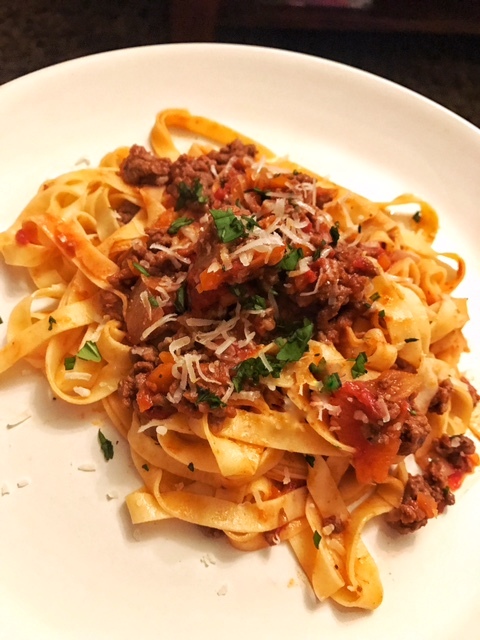 bolognese sauce to go with the rest. It was, as you can probably imagine, really really good-so thin and light and completely incomparable to the dried stuff I usually have. Plus, whilst I won't go in to too much detail about how I know this, I can confirm it tasted absolutely phenomenal reheated and scoffed down with my fingers in the early hours of the morning. 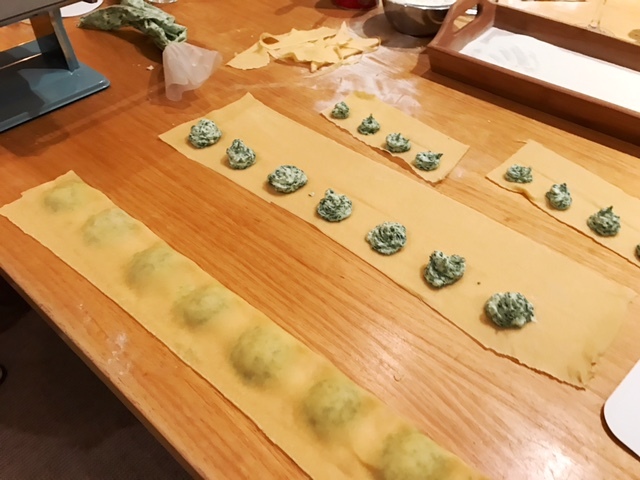 I'd recommend Paola's class to anybody- we had so much fun and I'll definitely be trying to re-create what we made at home. 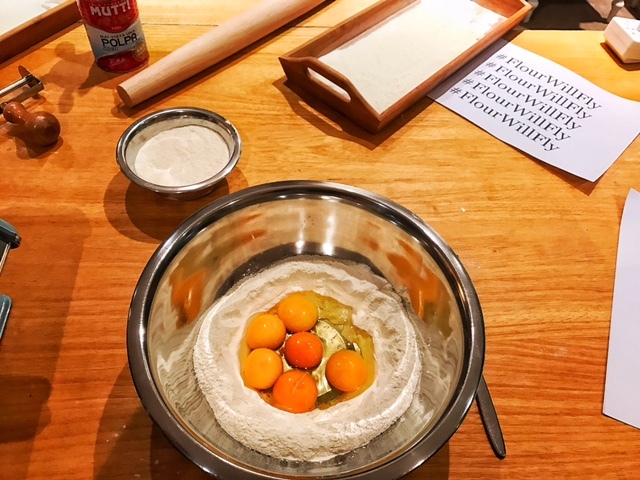 Find the Flour will Fly details on their Insta page- here. *I was kindly invited to try out Paola's class, but as always all words, thoughts, pictures and opinions are completely my own! As you may know, in my old(er) age I've become a bit of a fan of a weekend walk, although admittedly, only when I know it will end in some kind of celebratory reward-based eating. Walking alongside the Mersey at Otterspool Prom has long been one of my favourite places to do this. You can see right across the Wirral (sometimes to Wales on a clear day) and once when I was peering aimlessly into the murky depths I saw a sea lion, I swear. Il Forno has had a home at the top end of Duke Street since the start. 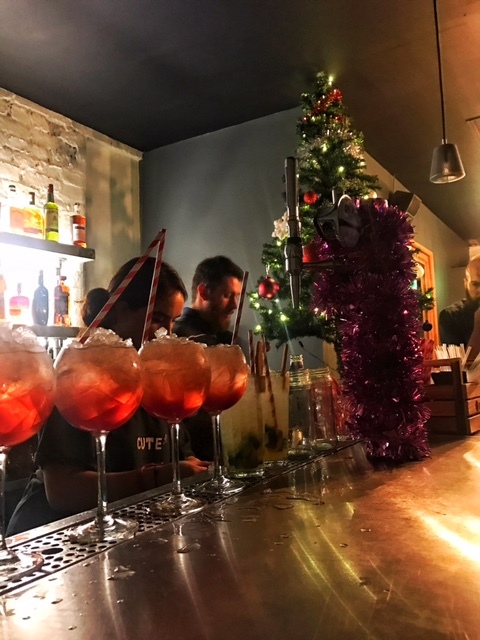 With a pair of brothers at the helm, an army of suit-clad Italians running the show and a number of accolades and awards under their belt, they've made a name for themselves as one of Liverpool's go-to places for proper Italian food. Now I've always had a slight issue with 'bottomless brunches' in that they seem to be more about getting smashed than actually eating. If anything, I'd much prefer the food to be bottomless rather than the booze but we'll save that particular issue for another day. 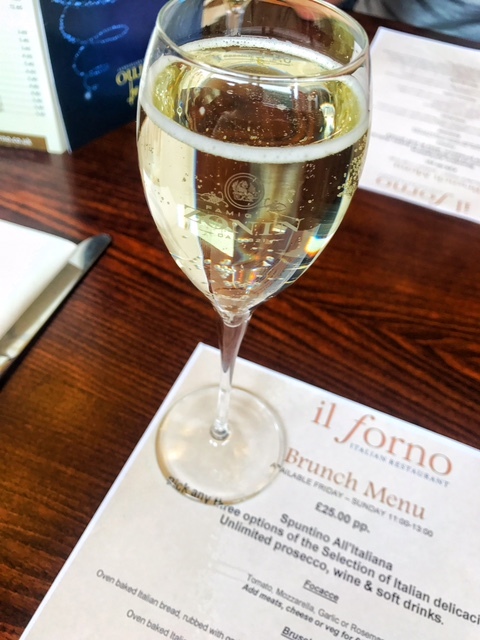 Thankfully the offering at Il Forno managed to change my mind, as it was as much about good quality, proper food as it was the refillable prosecco. In my opinion a much more classy undertaking than many of the boozy brunch offerings in the city. 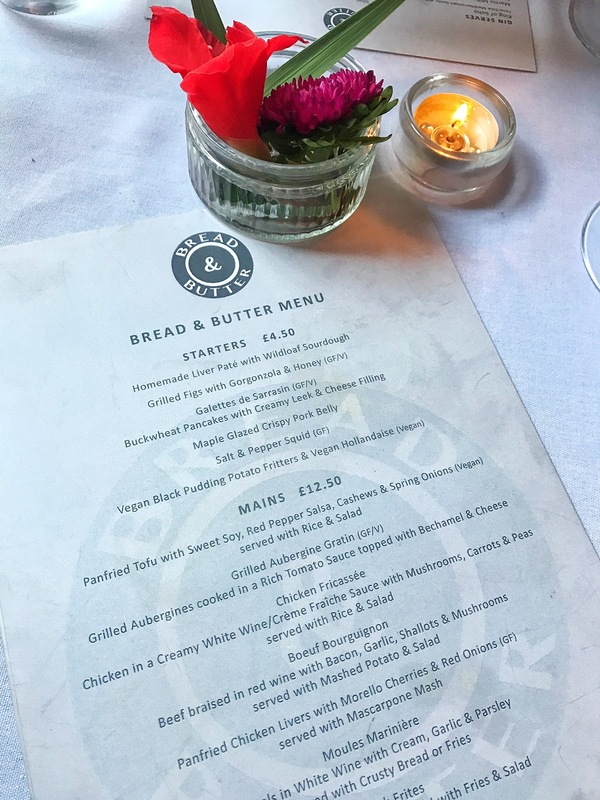 For just £25 you can choose 3 dishes from the brunch menu to accompany your bottomless beverages (although I'd recommend going as a group as you can order more and get to try a bit of everything!). 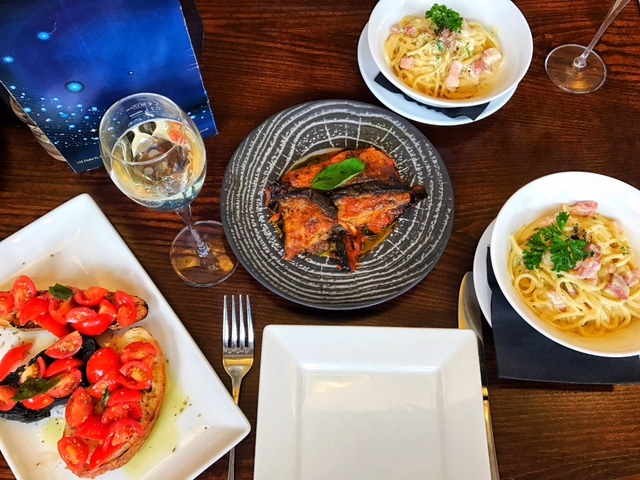 The menu is typically Italian and is all about small plates of the classics- bread, cured meats and a selection of pasta dishes. 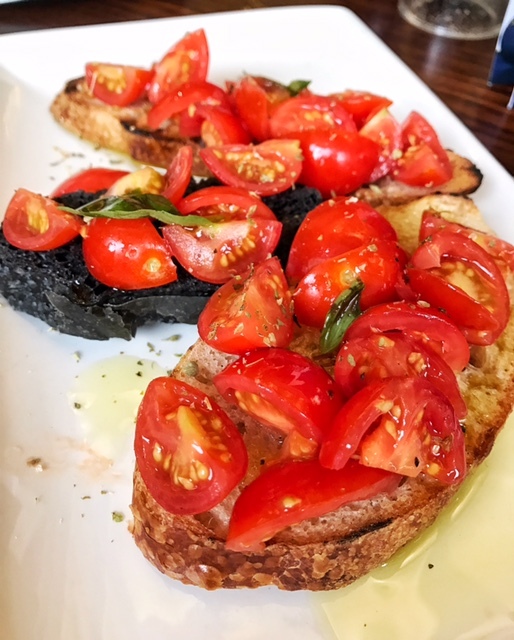 We all started with a Bruschette Classica, a mix of three different breads topped with garlic, tomatoes and heaps of olive oil. 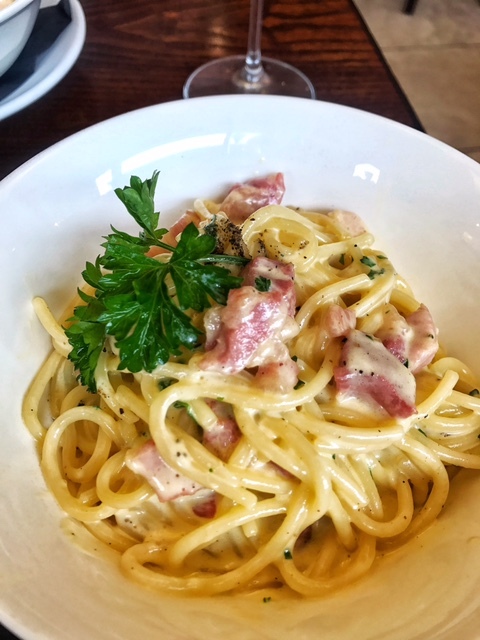 Next up was a Carbonara- a brunch-time revelation in my opinion. I remember watching Jamie Oliver or someone making a hangover carbonara once and being baffled by the whole thing but I've definitely seen the light! 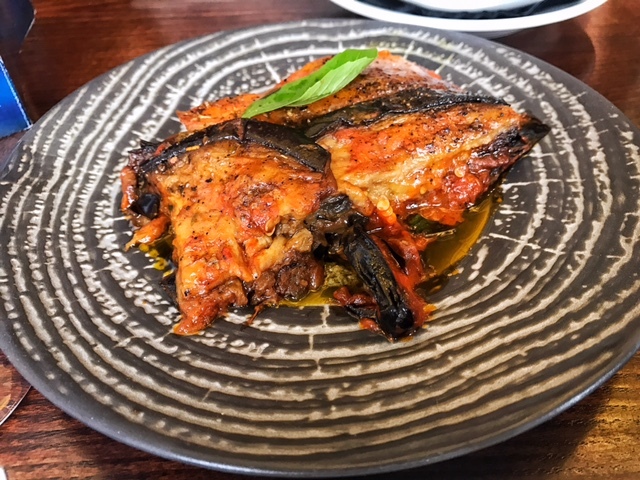 The Il Forno version is rich and creamy and probably my favourite dish of the bunch. 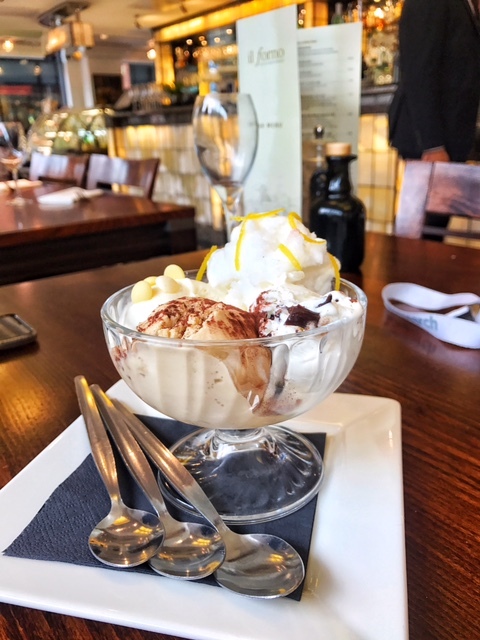 Last but not least we shared a baked Aubergine Parmigiana and Cheesey Fondue Potato Flan- two really great additions from the vegetarian section, finishing with a selection of (incredible) gelato from the cabinet. 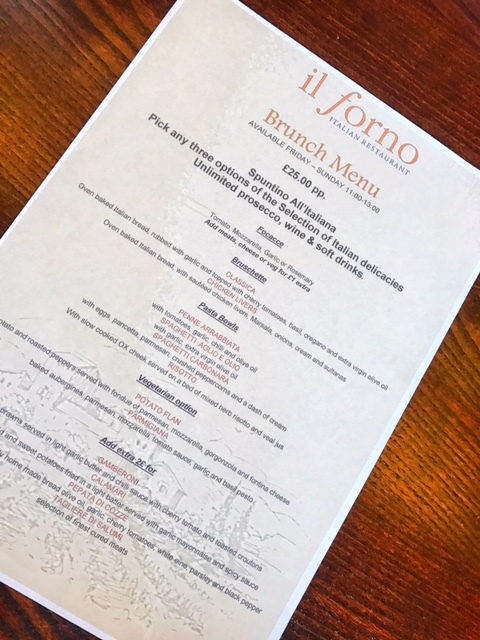 If you're looking for a bottomless brunch in Liverpool where the food matches up to the drinks then Il Forno is definitely the place. 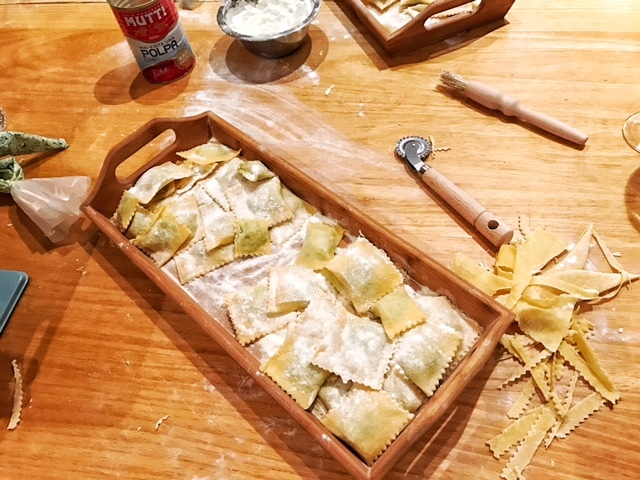 Molto bella! When it comes to eating out most of the time I am incredibly indecisive and can't even decide what I want to eat, never mind where. Sometimes, though, I am consumed by cravings and once I've got my heart set on something there's no changing my mind. One thing that quite often sneaks into my cravings calendar is a good old burger. 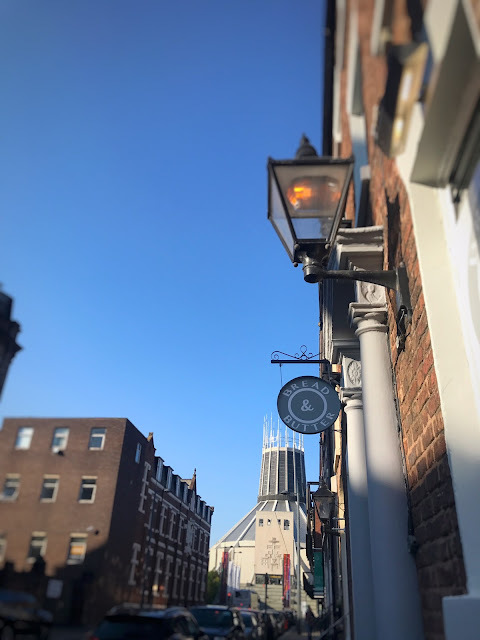 Fortunately, Liverpool is abundant with them so just in case you ever fancy one I've put together the definitive, (almost) complete, and fully comprehensive A-Z guide of where you can get one. When it comes to bucket list items most of mine revolve around food. Last year I had midnight tapas in Madrid and this year I managed to fulfil all my Sound of Music fantasies with a strudel for breakfast in a Viennese coffee house. 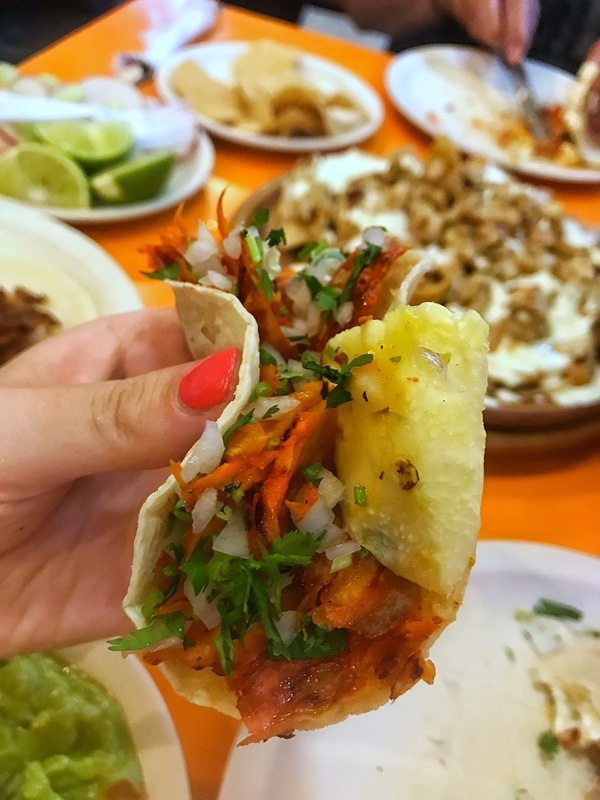 When we booked our summer trip to Mexico without a doubt my main concern was having a proper taco (and relaxing and having a nice holiday too blah blah etc). Whilst Playa del Carmen is undoubtedly a tourist hot spot, we were reliably informed that the locals eat their tacos at El Fogon and we were certainly not disappointed. Oh man, it was good. Our little table at the side of the road was filled with plates of Tacos al Pastor, soft tortillas filled with freshly carved pork, fresh onion, coriander and grilled pineapple. 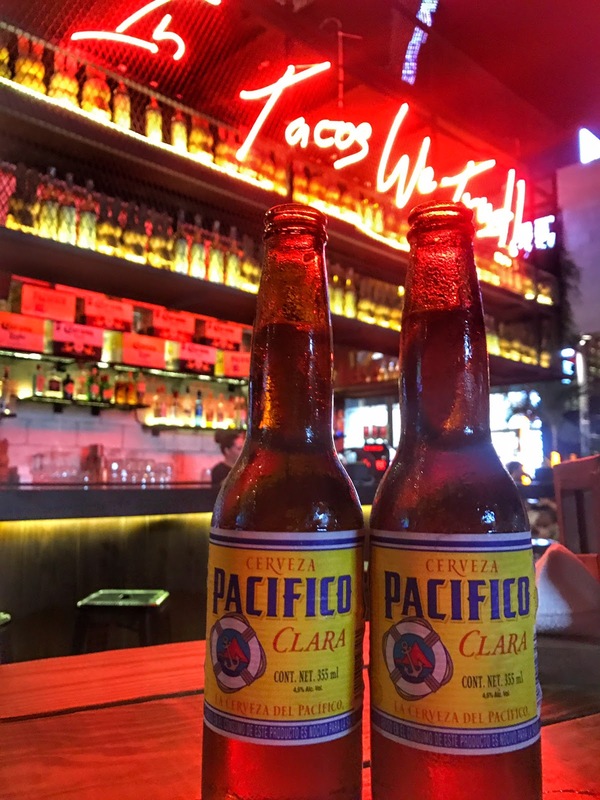 We got stuck in, head first in to trays of nachos, chips, guac, salsa and beer and it was GREAT. As it turns out it is hard to go cold turkey from 10 days of tacos so I've rounded up a few places to get your Mexican fix in Liverpool. 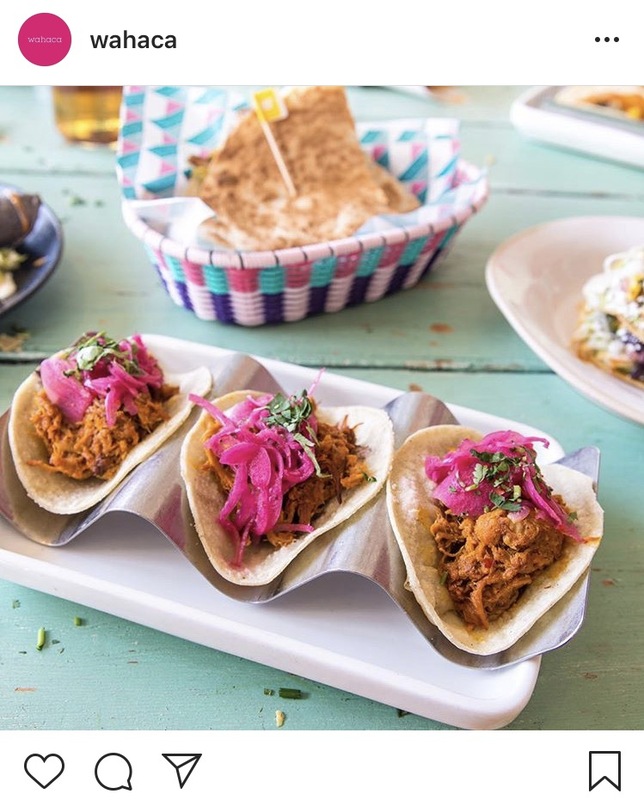 Top of the list for me is Lucha Libre, the Wood Street restaurant serving up Guadalajara-inspired street food. 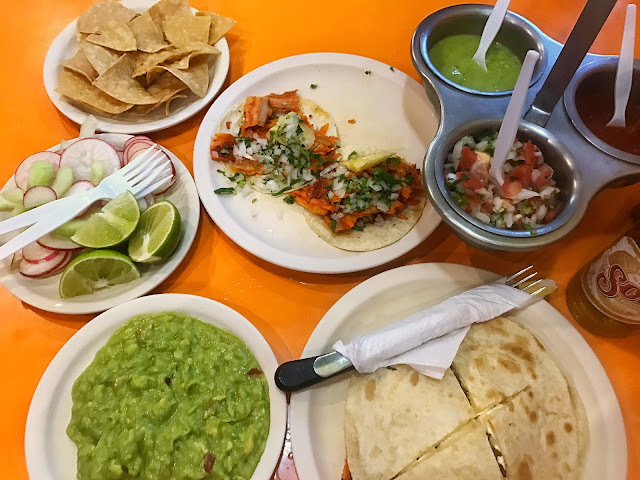 The menu is filled to the brim with tacos, quesadillas, dirty fries and bar snacks plus they do the best frozen margaritas in the city. 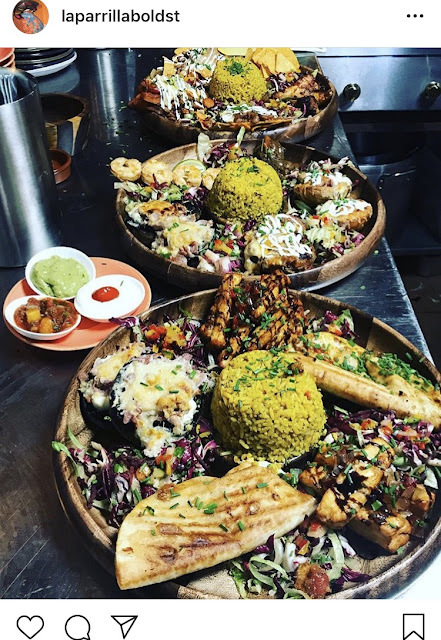 Known to all of my friends, family and work colleagues as simply 'The Mexican', this Crosby South Road born restaurant has recently opened up a second location on Bold Street. Expect big plates of home-cooked food. Originally based on Duke Street, one of Liverpool's best known Mexican resturants Savina has just moved to a new home in Queen's Square. 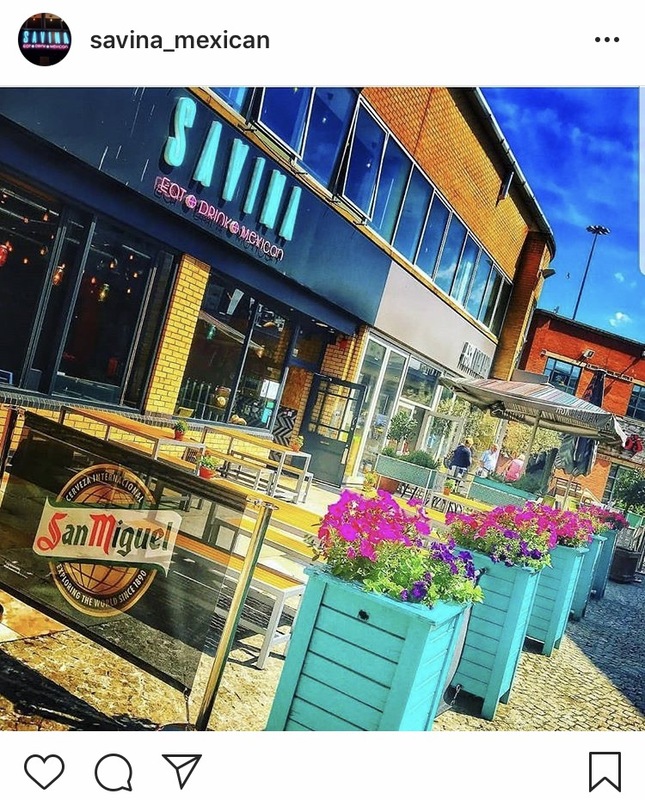 The interior has had a sleek and colourful refurb and they have an outdoor dining area for when the sun is shining. 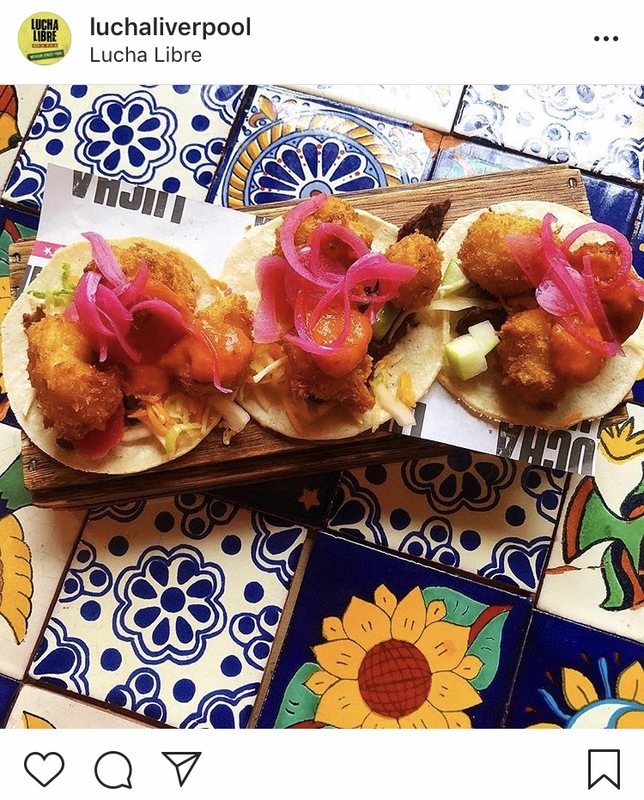 The baby of Masterchef winner Thomasina Myers, this huge London-born chain aims to take the grease out of Mexican food and rebrand it with freshness, colour and flavour. They've got an absolutely enormous selection of Tequila and Mezcal to get stuck in to. Whilst technically more Tex-Mex than Mexican, this Smithdown institution known best for its breakfast also has a few banging dinner options to satisfy your tastes for the good stuff. 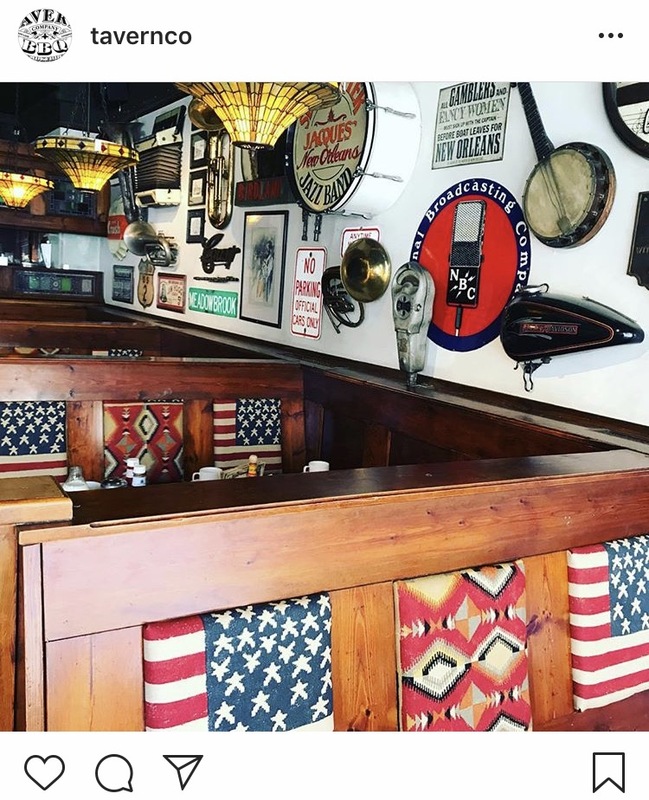 Independent, family owned and they do brunch tacos, too. 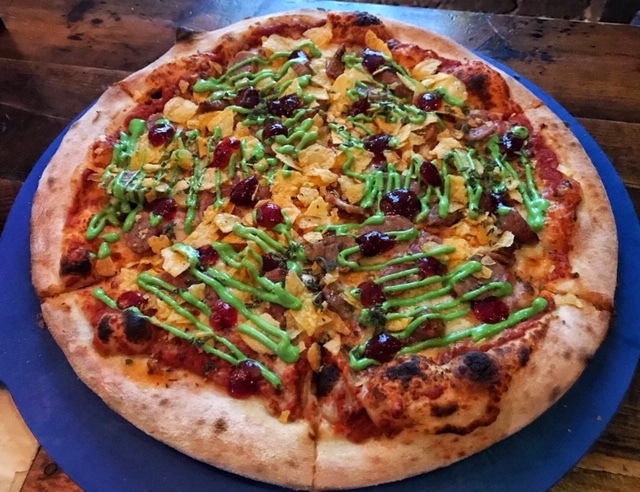 When it comes to a food trend Liverpool has seen it all this year. We've seen this rise of the insanely-topped 'freakshake', competed for the title of biggest burger, eaten mountains of halloumi fries and made everything-but-the-kitchen-sink salt and pepper flavoured. 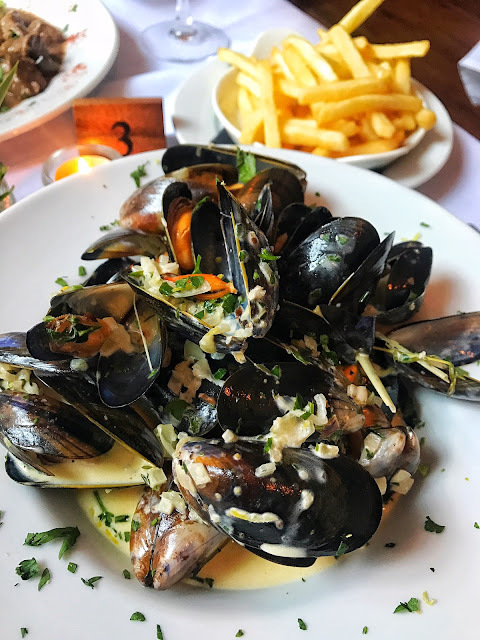 Whilst I love getting my teeth stuck in to these weird and wonderful creations as much as the next greedy Scouser, I can't help but be pleased to see restaurants brave enough to take it all back to basics. 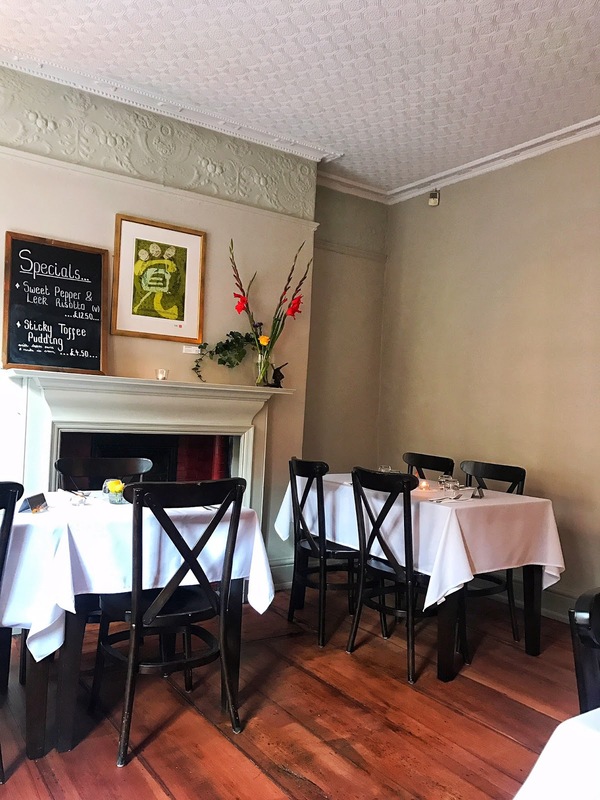 The closing of The Clove Hitch on Hope Street has been bittersweet for me. 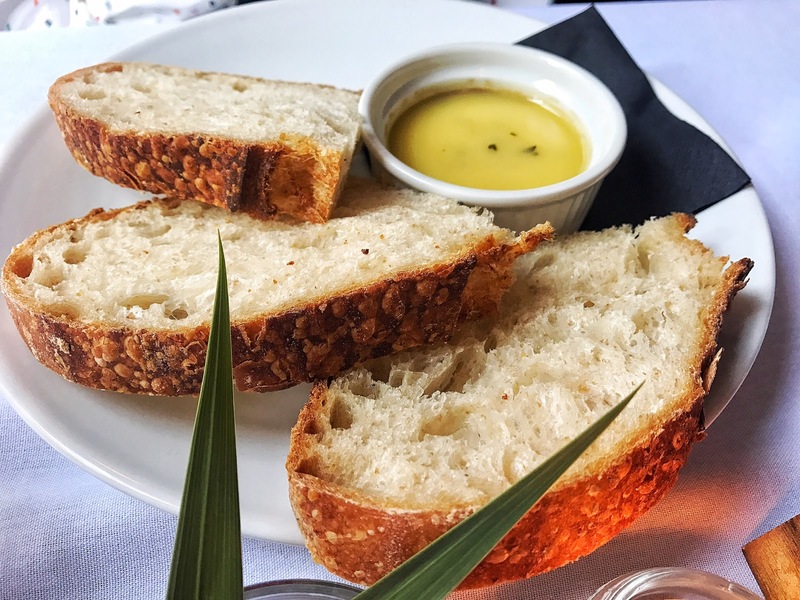 Whilst I was sad to see it go (we celebrated a few special family occasions in there), it's departure has made room for a new, family-owned restaurant who are bringing back the bistro in the form of Bread and Butter. As the name suggests, everything here is about simplicity. Dark wood floors and huge Georgian sash windows sit alongside crisp white tablecloths and flickering tea lights to create a beautiful yet understated dining area. The menu is short and sweet and consists mostly of comforting French Country classics like savoury Buckwheat Pancakes, Aubergine Gratin and Chicken Fricassée. There's no messing about with the prices either. Starters and desserts are marked at a very reasonable £4.50, mains at £12.50 with no extras, supplements, set menus or added items. 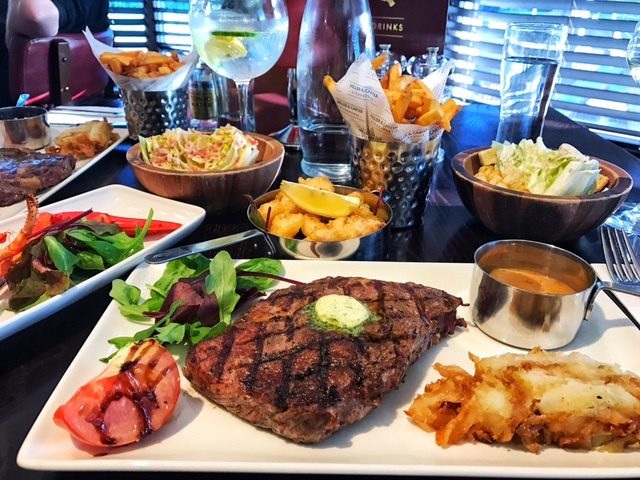 The food is confidently understated but very satisfying. 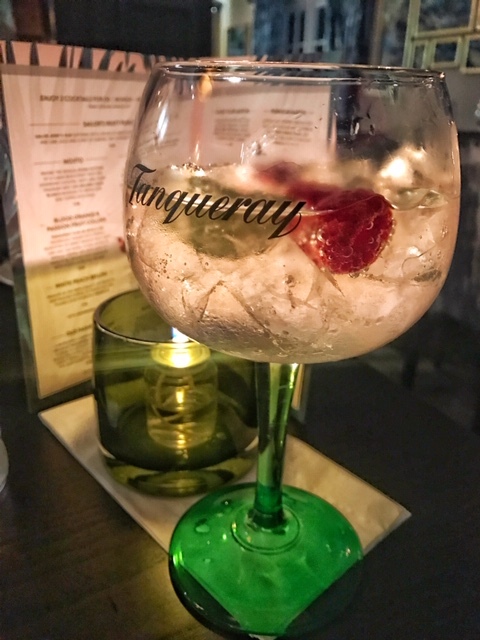 After a quick catch up and a few sips of my Martin Miller gin with Strawberry and Elderflower my starter arrived. Sweet and sticky cubes of Maple Glazed Pork Belly whilst my lovely mum polished off the Homemade Liver Paté with a few slices of local Wildloaf Sourdough. 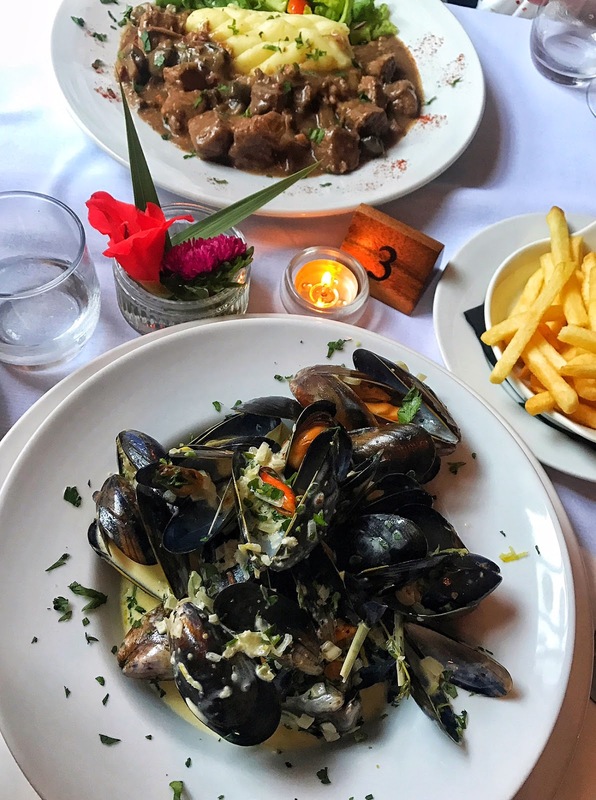 The main event was particularly French with mum tucking into an enormous portion of Boeuf Bourguignon with creamy mash and salad whilst I got messy with a steamy bowl of Moules Marinière . Initially I though the sauce could have done with more of a kick, but it was perfect when I started dunking in handfuls of salty French fries (or frites should I say?) to mop it all up. In ode to our brothers across the channel we finished in a rather sophisticated manner with tea and desserts. 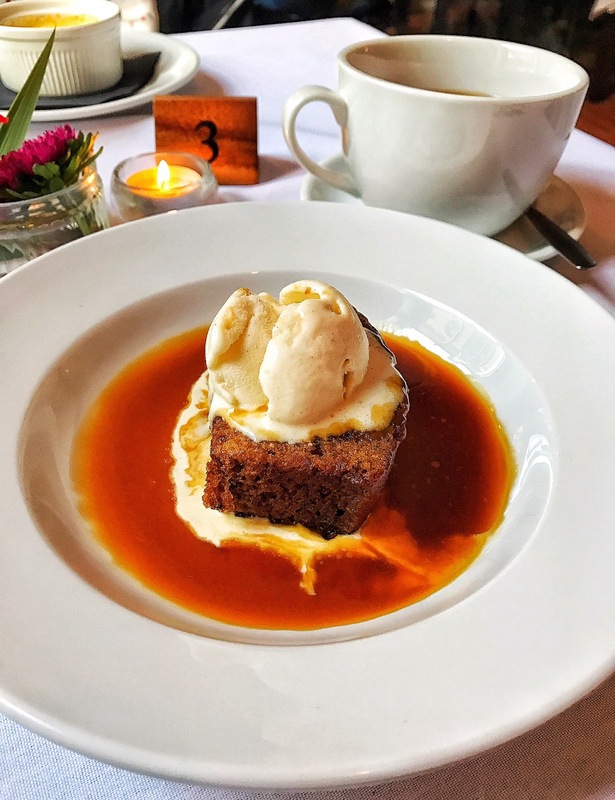 Whilst I was tempted to try out the namesake dish of Bread and Butter Pudding, I'm a simple girl and there isn't enough willpower in the world for me to turn down a special of anything Sticky Toffee. 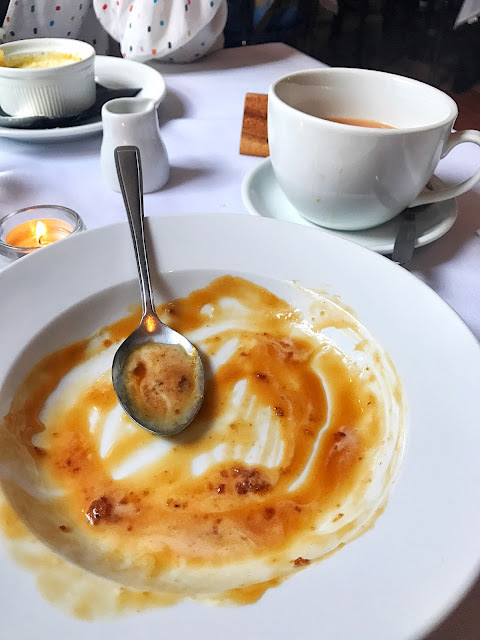 My mum had a beautifully made Crème Brulée finished, as you'd expect, with a satisfyingly crisp burnt sugar topping to crack in to with her spoon. 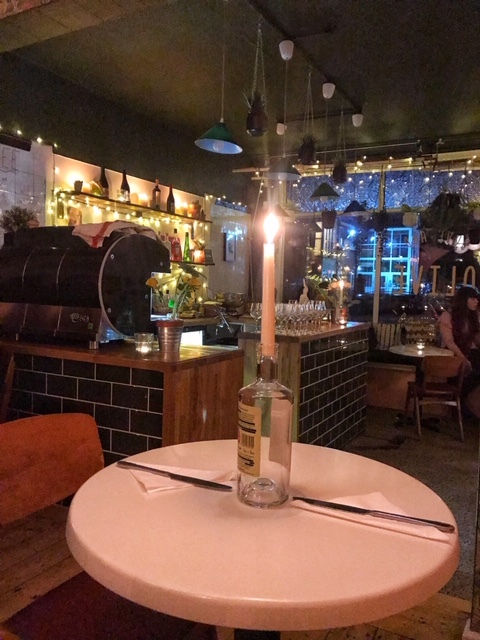 Whilst I am by no means complaining, in a city filled to the brim with street food, small plates, cocktails and Insta-specials this place is a little breath of fresh air and there's something about how honest and straightforward it all is that makes it very hard to dislike! Bread and Butter is open Tuesday-Saturday from 17:00-23:00.